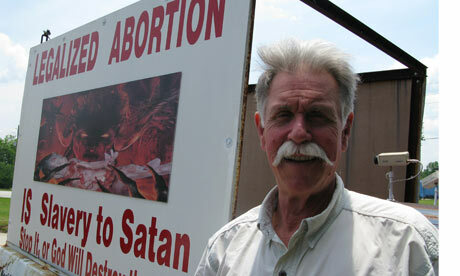 For Dee Fennell the price of freedom is silence. Just after Easter, I wrote about the case of Republican activist and Ardoyne community worker Dee Fennell who was arrested by the Police Service of Northern Ireland on charges of encouraging support for a “proscribed organization,” the New IRA which remains committed to the use of armed force the end British occupation of Northern Ireland. Armed struggle must be a contributory factor to a wider struggle. The use of arms prior to 1916 was legitimate. The use of arms in Easter 1916 was legitimate. The use of arms after 1916 was totally legitimate. In the existing political context of partition, illegal occupation and the denial of national self determination, armed struggle, in 2015, remains a legitimate act of resistance. As a I noted at the time, Fennell’s words in support of armed struggle as a part of a legitimate campaign to achieve a united Ireland were little different from those uttered by other speakers, including former Provisional IRA members who now serve as representatives of the Crown as officials in Northern Ireland’s power-sharing government. In fact praise for and remembrance of those who have taken up arms in the cause of Irish freedom is part and parcel of virtually all Easter commemorations. Fennell has now been released on bail, and as the Belfast Telegraph reports this morning, the price of freedom is his silence. As a condition of bail, Fennell is banned from making any public speeches. He is further banned from posting any material online. From the perspective of an outside observer like me, one of the most surprising features of the Northern Ireland peace process has been the failure of any alternative Republican political parties to emerge to challenge the dominance of Sinn Fein, despite the compromises and abandonments of Republican orthodoxy that have accompanied the party’s transition from a revolutionary movement to a defender of a political status quo in which it is a partner in the very governmental institutions it had once been dedicated to smashing through force of arms. The case of Dee Fennell helps to explain this. Like Gerry McGeough and Marian Price before him, the British state, with the silence if not complicity of Sinn Fein, has used the legal system to silence those who would speak out forcefully against the existing political status quo. The more effective those speakers, the more credible their voice in the Republican community, and the greater the fear that they might be able to gain support and mount a meaningful challenge to the Republican mainstream, the greater the odds that they will be muzzled. When you are talking about the capacity of the Republican Movement to police itself, and can you really do it if they can’t shoot them in the knees or whatever, and I would say well, there are other ways. There’s another way, you know, that people are no longer protected, people are more exposed, people won’t get patronage of various kinds, and then the past catches up with you. Dee Fennell is far from the first, and likely won’t be the last, to learn this lesson. This was a dirty little war* fought with calculated brutality on all sides. I always knew this about the Troubles in Northern Ireland, but for a long time, and until relatively recently as a mostly casual observer, I largely dismissed the accusations that the British government had a direct hand in facilitating if not orchestrating Loyalist paramilitary murder and mayhem. I was aware of the accusations but had accepted the official denials that were reinforced in the academic work on the subject that I was reading. For example, Steve Bruce argued in his otherwise excellent work on Loyalist paramilitaries that there was a key distinction between the Loyalists and the government death squads killing political opponents with impunity in places like El Salvador and Guatemala. The UVF, UDA, and Red Hand Commando were “for the state” but not “of the state” like their Latin American counterparts. 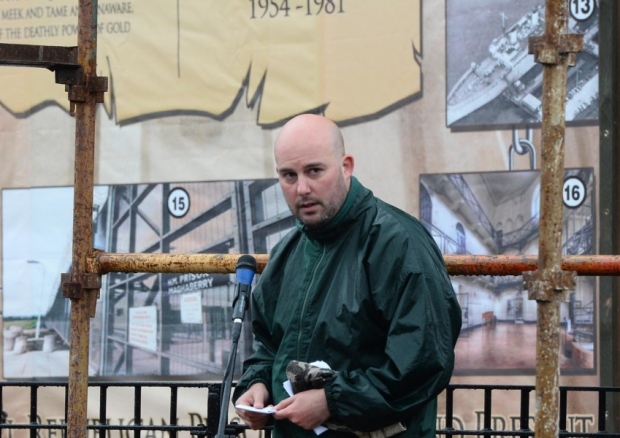 Any ties between the Loyalist paramilitaries and the state were unofficial, informal, and unsanctioned. Paul Larkin’s 2003 book A Very British Jihad was the first to get me to challenge that convenient (for the British) narrative. A bright spotlight will again be turned on these charges in an investigative report to be broadcast tonight on BBC’s Panorama program in which Northern Ireland’s former police ombudsman Baroness Nuala O’Loan claims that “hundreds and hundreds” of people died with the complicity of undercover state operatives. Panorama explored this territory before, in a two-part investigation aired in 2002, but the scale of collusion depicted in those reports is dwarfed by what is apparently to be revealed in the new story. Official damage control is already under way, with the PSNI’s chief constable preemptively casting doubt on the claims to be made. Near as I can tell from the pre-broadcast reporting, there is one topic that looks like it will receive much less scrutiny than it ought to, the role of British operatives on the Republican side of the conflict. And that is a serious problem given what is already known about the IRA double agent known as Stakeknife, who as head of the IRA’s internal security unit, the “Nutting Squad,” is said to have been involved in up to 40 murders while under the protection of his British handlers. In short, a full accounting of collusion in Northern Ireland cannot only focus on state involvement with Loyalist paramilitaries. It must also include coming clean on what remain extremely sensitive topics: the use of informers within the Nationalist community and the ranks of the IRA, responsibility for the fate of informers whose activities were discovered (one of the nagging unknowns in the tragic murder of Jean McConville), the involvement of informers and state agents in IRA killings and other acts of terrorism, and the extent of the penetration of the Republican Movement by agents of the state, especially at the highest levels. The mural is right. 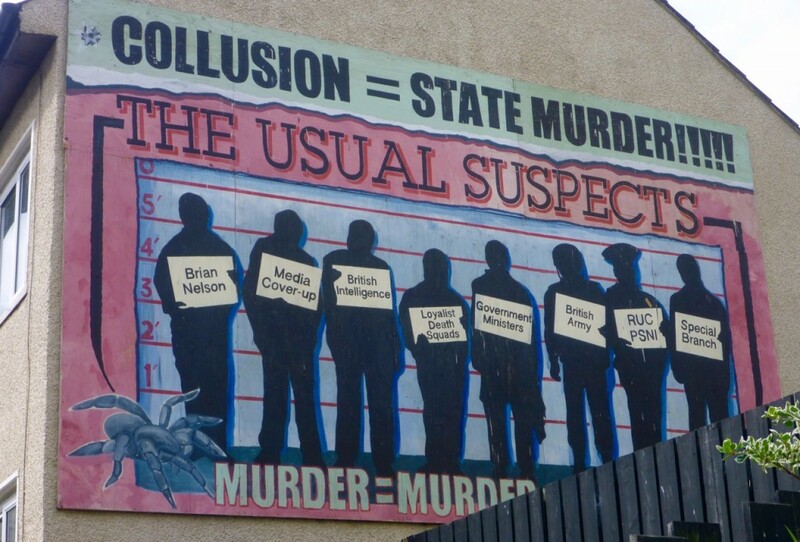 Collusion is state murder, and it matters not whether the gunmen on the payroll were Loyalist or Republican. *As an aside, I take great pains to explain to audiences on my side of the Atlantic that this was a “little” war only if we remove the raw numbers of casualties from the context of Northern Ireland’s tiny population base. As a proportion of the population affected, the roughly 3,300 killed and 40,000 injured over the 30-year course of the conflict would be the equivalent of more than a half million dead and nearly 7 million wounded had the war been fought in the United States during the same period. 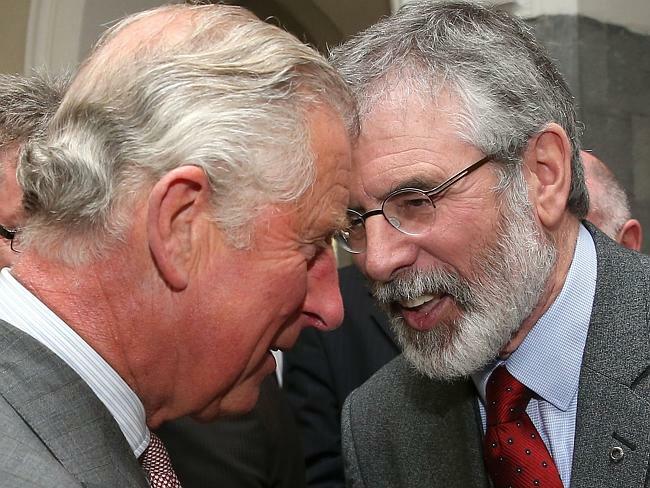 In the midst of the controversy surrounding the historic meeting and handshake between Prince Charles and Sinn Fein President Gerry Adams last week, I reached out to one of my Belfast friends, a steadfast supporter of Adams and the party he has led since 1986, to get his take on what, if anything, it all meant. My friend has long argued to me the virtues of Sinn Fein’s “long game” of transition from armed struggle to “ordinary” politics as the surest path to achieving a united Ireland. A key part of this long game requires that the party not stay shackled to a past in which violence and bloodshed was the currency of both revolution and state reaction. We can’t strangulate ourselves with the past, while I couldn’t shake his hand, I understood why Gerry accepted his handshake. A new Ireland will only be achieved when we take big steps, such as this. And he’s right. Reconciliation with the past, and with past foes, requires a willingness to take risks, even if those risks are today less immediate than they might have been twenty years ago. Reconciliation requires, as my friend pointed out, an acknowledgment of the suffering inflicted by and upon all sides of an armed conflict. This was, apparently, among the things that Adams and Charles discussed during a short private meeting. … we, I think, had a common view that there should be no hierarchy [of victims] and that thankfully, the conflict’s over. But all of those victims and survivors of the conflict who still seek justice need to have that justice. And if our meeting yesterday did anything I would like to think it assisted this process. And the governments and the political parties, I think, are duty-bound to build upon that because reconciliation is — it’s a personal process, I suppose, of dialogue and engagement and compromise and getting to know someone. Sinn Fein’s critics, both north and south of the Irish border, and Republican dissidents have sung from their familiar hymnals, challenging the sincerity of Adams’ meeting with the heir to the British throne and characterizing it variously as cynical political posturing, a hypocritical about face on whether the Royal Family is welcome in Ireland, and yet another in a seemingly infinite line of betrayals and subversions of traditional Republicanism. We do not have to hold the royals in high regard to make peace with our neighbours. Most of us have never been at war with them in the first place. The consolidation of peace can only be achieved by plain people making common cause across national and religious divides. That is to say, on the basis of proclaiming that it’s the people who must be sovereign. There have been plenty of handshakes in recent years, but the hard work of actual reconciliation in Northern Ireland will be the work of generations. Some of this is taking place, both on individual and private levels and on officially supported and institutional ones, but the pace of progress can seem glacial in a place where people more readily see their differences than their similarities. In short, symbolic gestures notwithstanding, there’s still a long way to go.